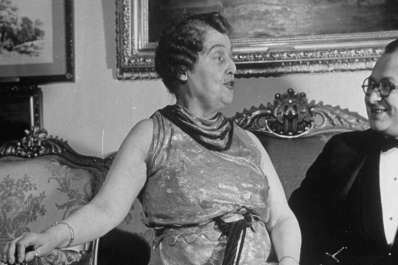 For more than half a century the name Florence Foster Jenkins has been guaranteed to produce explosions of derisive laughter. 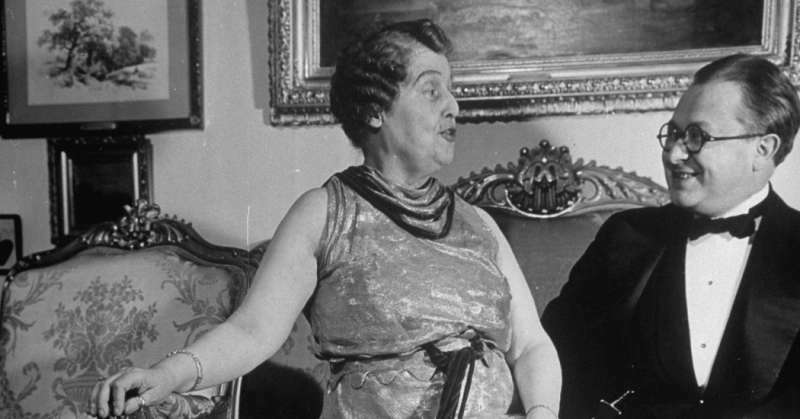 Not unreasonably so, as this wealthy society eccentric suffered under the delusion that she was a great coloratura soprano when she was, in fact, incapable of producing two consecutive notes in tune. Nevertheless, her annual recitals in the ballroom of the Ritz Carlton hotel, where she resided, brought her extraordinary fame. As news of her terrible singing spread, so did her celebrity. Her growing mob of fans packed her recitals, stuffing handkerchiefs in their mouths to stifle their laughter—which Mrs. Jenkins blissfully mistook for cheers. The climax of her career was a single concert at Carnegie Hall in 1944. Famously, it sold out in two hours. SOUVENIR, by turn hilarious and poignant, tells her story through the eyes of her accompanist, Cosme McMoon. A talented musician, he regards her at first as little more than an easy way to pay the rent, but, as he gets to know her, his initial contempt gives way to reluctant admiration, then friendship and affection.